Trail running is not only fun but also keeps you fit. You can consider this sport as part of your personal workout plan or do much training on trails as preparation for competition. You only need to find a suitable training ground or trail path that is safe enough and convenient enough for your athletic capabilities. If you want to enjoy the experience of trail running or you are already a seasoned trail runner looking for the best trails and other useful information, then the runtrails.org can be a great source for the information you need. This running website will provide you with useful information whether you are serious runner, a trainee or a jogger out to enjoy the outdoor environment while you workout. Trail running is not to use paths that are not ordinary to the common track athletes. Trail running is usually in the wild, away from civilization and far from what you may be used to when it comes to running. Experienced trail runners will however welcome any tough terrain that nature throws at them in the course of their sport. With that in mind, there are particular routes that are popular with trail runners that you may also find interesting. With the RunTrails site, you will find a list of various running trails and their features such as trail surface. The distance of each route is given including areas that will allow you to hike, walk or ride. Information on available amenities such as bathrooms, water fountains and shelters is also given. This will help you to choose your ideal long running trail. The running website provides a comprehensive trail guide with clear descriptions, photos and review of the popular run trails to help you plan well for your next trail run. Trail instructions like yielding to equestrians or mountain bikers are also explained. Any trails that are used by pedestrians, cyclists or horses are clearly shown to suit the kind of travel that you are using. The runtrails site allows users to search for the best running routes by state. The site has an advanced feature useful in helping long distance runners find trails that will match their tastes and other needs. For example, if you prefer a natural trail surface, you can easily locate one with grass, sand, dirt or cinder from the site. If you are a marathoner, then you can also be able to find suitable routes for marathon training. If you love trail adventure, the detailed trail guide will not only provide you with descriptions of the routes picked but also includes photos of major parts of the most popular routes. The trail guides are easy to understand whether you are a new visitor hoping to explore the wild trails or professional runner looking for the most challenging trails to upgrade your sport. Additionally, reviews from different runners on their experience with the trails will help you choose a running path that best suits your goals. Exploring the running route maps listed will give you a picture of the kind of trails to experience in addition to the photos. The maps are clear and easy to understand and include major facilities or civilizations near trails in wild regions. Apart from ordinary trails, you can also find other types of running routes. These usually include short, medium and long running routes. You can also choose run trails according to your ability. There are also running trails that you can choose to match your fitness ability. 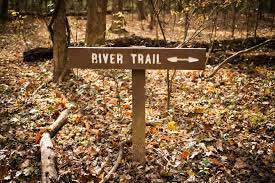 These range from easy, moderate or challenging trails. 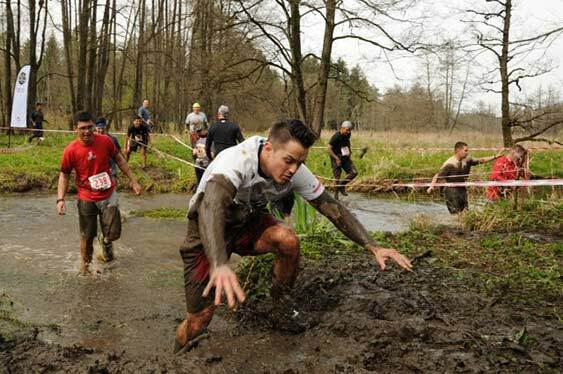 Sometimes the most challenging running trails have tough terrains like hills or rocky grounds. Apart from the running trails, the train running website also includes fitness trails that you can consider for your ordinary training that are also built to engage people in keeping fit through running or walking for good health. Training outdoors will strengthen your muscles and the scenic beauty of the environment you are in will relax you and help you beat stress. Running trail routes listed on runtrails.org exist in dynamic landscapes which may vary from country parks to some urban passes. Routes that pass through towns are however safe. Countryside routes feature scenic trails that pass by historic attractions, through forests, along lakes, mountainous regions and other remote locations like rural stretches. If you like to enjoy the scenic beauty of your trail surrounding, it is advisable to walk instead of running, else you trip or fall. Trails that allow you to sightsee could be awesome. If you like to keep up with any coming events like walking, hiking or competitive running events, you can check them out from the runtrails site. Events are also shown by date and time. This information can help you plan well for your personal events calendar and ensure that you don’t miss out on any important highlight of your trail running sport. To help you improve on your training, the train running website provides useful tips for training and running. Information may thus range from the kind of foods to eat before and after training, type of running shoes to wear, workout tips to prepare you for long-distance running, self-timing, staying safe and many other useful recommendations to up your game whenever you are on the trail course. The tips provided will basically motivate you, help you stress less and stay focused in whatever challenge you face when doing trail running. At runtrails.org, you can get the most up-to-date information on running trails. Sometimes trails also change and that information is provided to ensure that runners always use the right track. Runners who discover new trails also love posting their reviews on the site to help their fellow runners access the information. You can as well do this and include as much details as you can about the trails that you have found. This information will prove useful to both new and seasoned trail runners.